In order to craft "Magno wooden radios" we need wood. Among the wood we use are so precious and protected woodtypes like sonokling and mahaghoni. Nevertheless we are catagorized to be a 100% eco company. How ist that possible? Since the beginning of the project we just use plantation wood in the neighborhood of the workshop. The wood is chosen personally by Singgih and his team. This makes us very sure of the origin of the wood we are using. The village in which the workshop is situated is among the most populated areas of java – there are no rainforests left since 200 years, so there is no danger to cut any rainforest-trees. We are not having any kind of ecologic-wood certificate. The reason is simple: The high costs for posessing it. Wood-certificates are issued by international organizations (normally the auditions are not done by the eco-organization itself but by independet audition-companies). The initial audition is charged with approx. 15.000 US-Dollars – the yearly fee is minimum 5.000 US-Dollars. We decided to invest our budgets not in first world based certification-companies but in our own ecologic program, our eco-farming and in our tree nursery. Our ecologic concerns and efforts have been witnessed by eco-organizations like Greenpeace or the WWF, by designers and journalists who have visited our production-workshop – even the nomination and short-listening for the Copenhagen based Ecodesign-Award INDEX proves our ecologic actions. 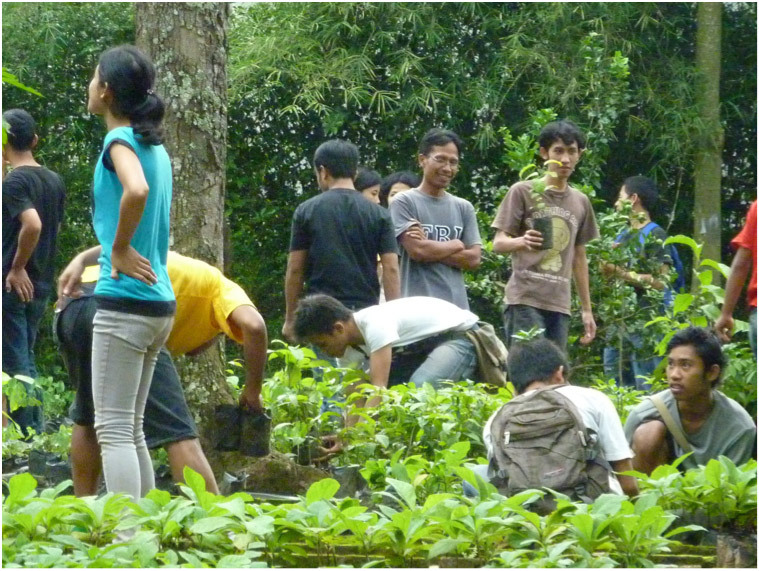 In 2011 Singgih used for production approx. 80 trees (mostly pine) in the same period we planted approx. 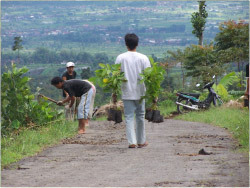 10.000 trees in and around our home-village Temanggung and established an ecologic program in which local schools and inhabitants are involved. wooden radio is keen to support these efforts by co-financing these programs by the benefits of our business. Nevetheless we ask the responsible eco-organisation to finally implement solutions to give small projects and companies possibilities to obtain affordable wood-certifications.